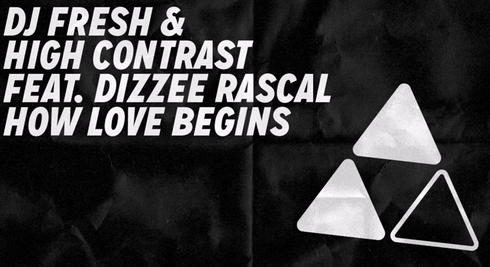 DJ Fresh has joined forces with producer High Contrast and MC Dizzee Rascal as a trio to present new single ‘How Love Begins’, released on 5 February 2016 via Ministry of Sound. Born out of experimentation and a heavyset appreciation for UK dance culture, ‘How Love Begins’ marries contemporary sounds with vintage, breaks-laden rhythms and classic rave sampling - all punctuated by powerful vocals and Dizzee Rascal’s signature, quick-witted flow. Premiered by Annie Mac as her ‘Hottest Record In The World’ on BBC Radio 1, its feel-good dance music and a single likely to make an big impression on 2016.